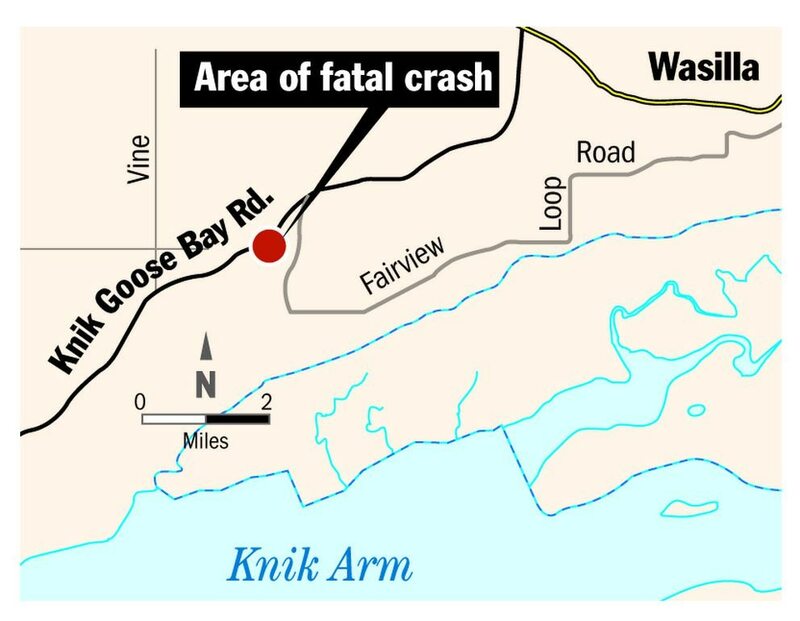 WASILLA -- A 24-year-old Wasilla man died early Thursday when his pickup truck hit a power pole along a notoriously dangerous section of Knik-Goose Bay Road, Alaska State Troopers say. Dae Poteet was pronounced dead at Mat-Su Regional Medical Center after his 1997 Chevrolet truck left the southbound side of the road and hit a Matanuska Electric Association pole about 5 miles from Wasilla, troopers spokeswoman Megan Peters said in an email. Troopers responded at 12:22 a.m. but an off-duty Wasilla police officer on his way home got to the scene almost immediately after he spotted the truck off the road, Peters said. By daylight, friends were posting dozens of messages on social media honoring Poteet's memory and offering condolences to his family with roots in Willow. Poteet had a young son with his girlfriend, Gabriela Olide, who is pregnant with their second child, a friend said. "He had a smile that hit your soul," Casey Petrin said in a message. "He always helped everyone he could. ... A lot of people will be mourning this loss." The entire 20-mile length of the road known locally as "KGB" is already listed as a state highway safety corridor due to the number of fatal or major injury accidents on it over the decades. Poteet's crash occurred on a curve that's part of a 6.5-mile section of road the state plans to widen to four lanes within a few years, officials say. There have been 30 fatal accidents since the late 1970s on that section of road, which starts at Mile 0.3 and ends at Mile 6.8, according to state transportation spokeswoman Shannon McCarthy. The Alaska Department of Transportation and Public Facilities is finishing an environmental analysis of the widening project now, according to McCarthy. The work is expected to move into the design phase this year. There are no warning signs or reflectors at the curve where Poteet crashed, a resident says. Jenn Hamilton and her husband live just about across from where Poteet's truck hit the pole, near South Donovan Street. Hamilton said she heard the wreck, put on warm clothes and boots and ran outside to offer blankets, but the officer told her there was no need. She prayed with a friend. Then she decided to make signs warning drivers about the dangerous curve because the state never has. "I have coffee cans and ice cream buckets of water freezing right now with two stakes of wood in them because I can't pound them in the ground," Hamilton said Thursday morning. McCarthy said the accident took place at a relatively gentle curve without a guardrail, which is where the state usually posts warning signals. The state generally discourages the public from putting items in the right-of-way because they can actually create hazards for drivers, she said.